More and more people are using smartphones and tablets each and every day. Statistics clearly show that mobile browsers now account for over 20% of web traffic and that number is rising steadily. Nowadays websites need to be responsive and flexible so they can be viewed on any screen - desktop, tablet, or mobile - without accessibility issues. 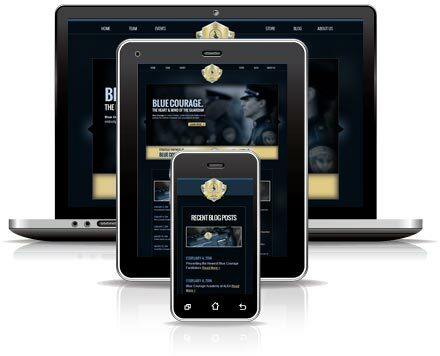 Mobile devices and browsers are getting more versatile and websites need to be able to keep up. We understand the complexities of mobile browsers and operating systems and we build each website to look fantastic in all shapes and sizes. Our attention to detail can be somewhat obsessive but we take pride in building websites that look great on every device out there. Flexible sites that respond to every screen size. Tablet and mobile device users are on-the-go. Their priorities are different than a desktop user- they want to see a map or call the office at the click of a button and their attention lasts only seconds. We've done extensive research to know exactly how to build a website that responds to the users' needs and condenses into a simple, functional version for smaller screens.